You have done all the work, put in the practice, and now the time has come to present your research at MAA MathFest in Chicago. Whether you are presenting a poster or giving an oral presentation, this is your time to shine, and make sure you are noticed by other mathematicians. Here are 5 suggestions to use your presentation to leverage your networking and professional relationships. Invite other attendees to come see your research. 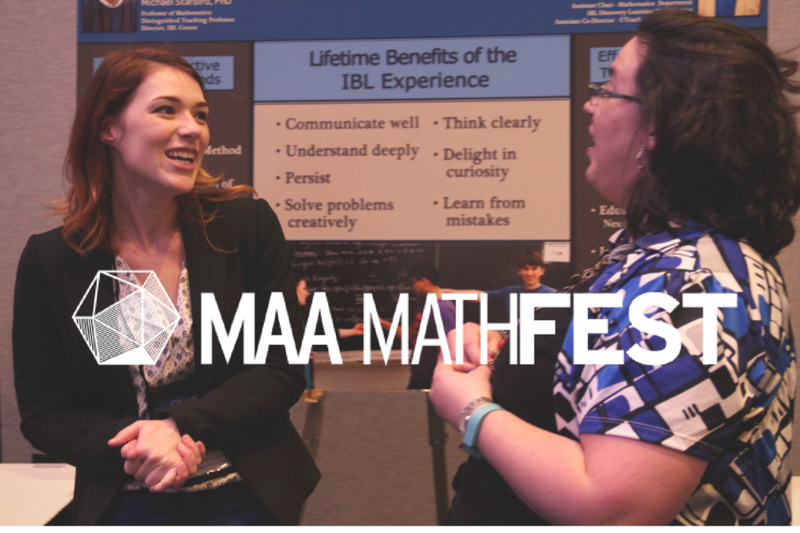 This may sound obvious, but make it a point to invite the mathematicians you meet at MAA MathFest to see your work. Many MathFest attendees want to support rising mathematicians, and if you invite them to come and see you they will try to attend. Tell them you would like to hear their thoughts on your work, and any suggestions on future research. Share your presentation time and location on social media. You will reach a wider audience when you share your presentation/poster time and location with the official contest hashtag: #MAAthFest. Give everyone a teaser for your talk or research, and include a photo! Not only does this invite people to show up, but it also adds to the professional credibility on your social media profile, which potential employers and mentors could see in the future. Be ready to follow up after the presentation. In the event that someone asks for a copy of your poster or presentation, have a plan to share a physical or electronic copy and use the follow up as a networking opportunity. Respond to them promptly over email and try to engage them with additional questions or further insight into your work. This could be the beginning of a strong professional relationship, so do your part of being prompt and engaging. Watch other first-time presentations. Be supportive of your peers and ask questions. This will help you both practice for interacting with more advanced mathematicians, and it could even lead to a collaborative project in the future. Supporting your peers is an important step in building a network that will have your back in the future. After MathFest, make sure to update your resume and CV. Presenting at an academic conference should be included in your list of accomplishments, so make sure you are recognized for your hard work. This will also stand out to potential employers and mentors and help you stand out among your peers.